New Brunswick’s wholesaler of adult-use marijuana signed up another supplier to meet sky-high demand, and the province confirmed it is in talks with other licensed producers to fill a significant supply shortfall. Supreme Cannabis Company subsidiary 7Acres entered into an agreement with the New Brunswick Liquor Corp. (NBLC) to supply an undisclosed amount of marijuana for Cannabis NB stores. 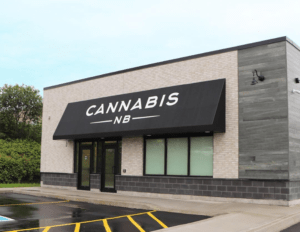 Cannabis NB, a subsidiary of the NBLC, is the government-owned retailer of adult-use cannabis in New Brunswick. The agreement calls for Supreme to supply the provincial market with 7Acres-branded “premium” dry flower in 3.5-gram packages. Depending on availability, the province may receive other products from Supreme, such as pre-rolls, capsules and oils. Marijuana Business Daily previously reported that New Brunswick’s cannabis wholesaler receives a small fraction of the cannabis products licensed cultivators agreed to supply on a regular basis. Of the 352 cannabis products ordered for the New Brunswick market before recreational marijuana was legalized last October, the retailer has had consistent inventory for only 39. Canopy Growth, Smiths Falls, Ontario. Nuuvera, now a subsidiary of Aphria, Brampton, Ontario. “Adding one supplier to our network will help diversify our portfolio of products. However, the national supply challenge will not stabilize overnight,” a spokesperson for New Brunswick Liquor Corporation said.